Good Morning, and a happy, sunny Sunday to you all! 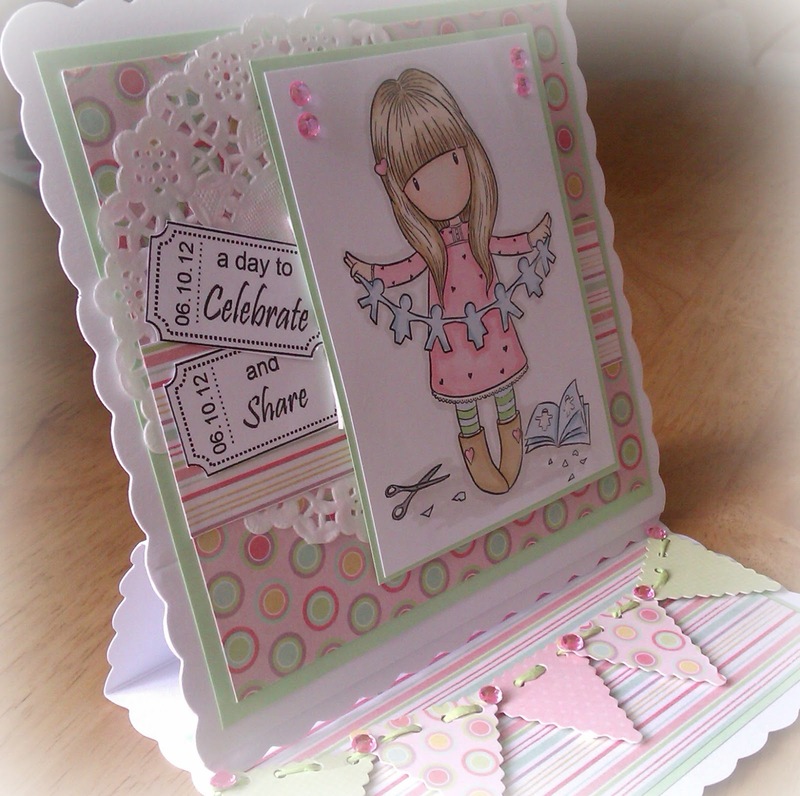 Planning on having a pretty chilled out day today, just thought I'd share with you all, the card that I made for the National Cardmaking Day swap that the lovely Carol organised over on Docrafts. I think my partner liked it. I thought this Gorjuss Girl image summed up the occasion perfectly (and I think she sums up me as a crafter as she has cheerfully left paper all over the floor, that she'll no doubt get round to hoovering up eventually, lol) The papers and the bunting are from Dovecrafts Tea Party range, doily from Pretty Little Ribbon shop, gems and twine from stash and again the sentiment tickets are my own creations. This is gorgeous Lisa. I love the sweet image and the pretty colours. Fab layout and great sentiment too. Such a sweet card. Lovely colours and such a great layout. aawww this is super sweet! Thank you so much for joining us gals at Charisma!!! Sooooo.. pretty!! Thanks for joining us at Charisma Cardz. This is so pretty!! love the design and all the bling. Thanks for playing with Charisma this week. Very pretty card, love the image. Thank you joining us at AGOAC. This is absolutely gorgeous and LOVE the colors!